China and Mongolia signed more than a dozen key infrastructure and energy cooperation agreements aimed at boosting landlocked Mongolia's mineral trade while meeting China's growing energy demand. 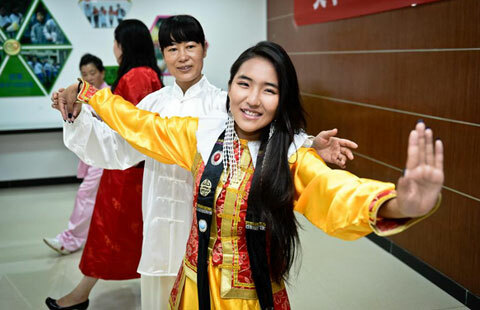 Delegates at an ongoing trade fair near the China-Mongolia border are buzzing with anticipation about a slate of new government policies that will boost cross-border business opportunities. China and Mongolia agreed Thursday to strive to lift bilateral trade to 10 billion US dollars by 2020. China has been Mongolia's largest trading partner and a major investor for more than a decade, with the bilateral trade volume reaching nearly 6 billion US dollars in 2013 -- nearly 20 times that of 2002 and more than half of Mongolia's total foreign trade. The China-Mongolia-Russia Economic and Trade Cooperation Fair opened on Wednesday with the inauguration of a center to process a cost-saving customs document in Erenhot, a city on the China-Mongolia border. 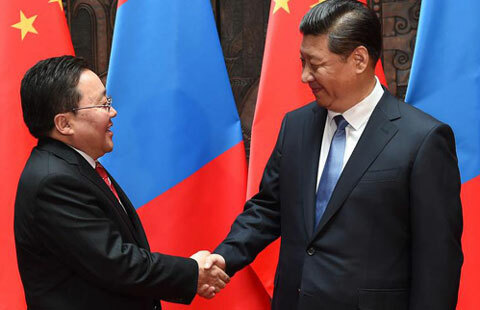 China and Mongolia are expected to sign deals covering energy, infrastructure and port use during President Xi Jinping's visit to the neighboring state, according to Mongolian officials. Mongolia and China signed a strategic partnership aimed at lifting their mutually beneficial partnership to a loftier level in key economic areas.